You are going to Watch Naruto Shippuden Episode 403 English subbed online free episodes with HQ / high quality. Stream Anime Naruto Shippuden Episode 403 Online English sub Unwavering Gutsiness.While en route to the main building, Burami senses Team Kurenai. Realising that they are being chased, Burami erases his and his team-mates’ scents. With Kiba and Akamaru’s sense of smell now futile, Shino relies on his insects to track down Team Kazami. Shino’s insects successfully locate the Grass trio, however, they are merely proved to be mirages. Team Kurenai then discuss their strategy to track down Team Kazami. 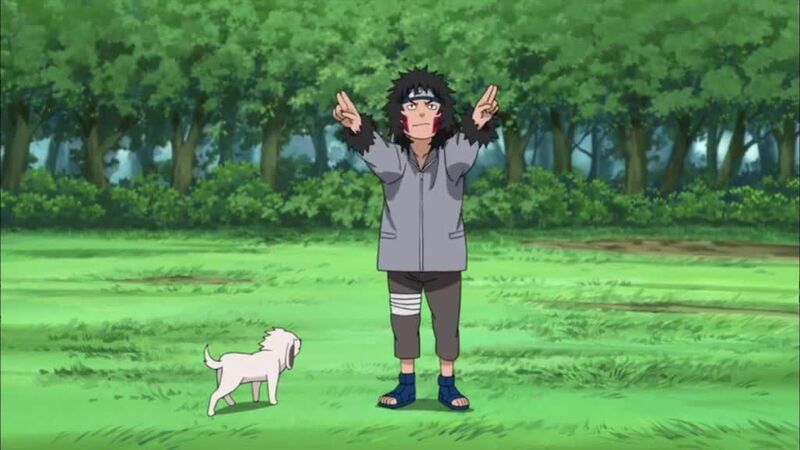 Kiba, inspired by Naruto’s unwavering determination, vows to locate Team Kazami, and retrieve the scrolls. Having made clear their persistence, Team Kurenai head out towards the tower at the centre of the desert. Team Kazami then ambush Team Kurenai, and the two teams clash once more. Though Team Kurenai are heavily outclassed by their opponents, Shino comes up with the perfect plan to fake his team-mates’ deaths with his insects. After their plan proves to be a success, Team Kurenai confront their opponents, revealing their team strategy in the process. Through a team effort, Team Kurenai cruise their way to a hard-earned victory over Team Kazami to obtain possession of both scrolls. 4.3 / 5 - 57 ratings.